Mulla’s Indian Contract Act still stands as the classic textbook on contract law even 95 years after the publication of the first edition and continues to provide clarity on what is an increasingly complex subject. 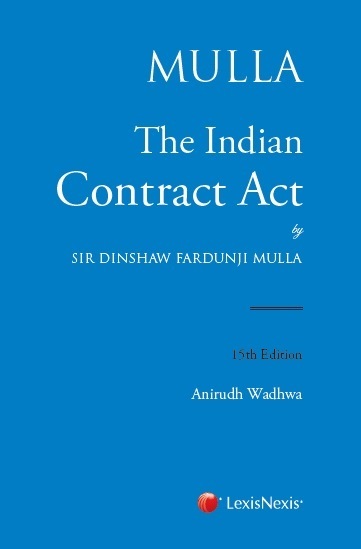 The book lays out the Indian Contract Act (Act 9 of 1872) supplemented by detailed section wise commentary and suitable case laws and citations. Anyone involved with the law of contract can turn to Mulla secure in the knowledge that it covers all the key areas of law by way of a detailed and in-depth analysis. It will be an essential reading for any student of contract law and a valuable first point of reference for practitioners and academics. Corresponding developments in English law have also been discussed and thoroughly analyzed.